We struck up a conversation with someone while for beignets at the one and only Café Du Monde. The nice lady from Mississippi told us, “You know what they say, ‘There’s New York, San Francisco, New Orleans, and everywhere else is Cleveland.’” All apologies to the Rock and Roll Capital of the World but her point perfectly captured my feelings. I know it’s cliché to say that New Orleans is a unique city but that’s how I feel about it. And many people will point to Mardi Gras as the time to be in the city but I’m here to tell you that there’s more to New Orleans than that. And that’s why I wanted to write this. Let’s explore New Orleans beyond Mardi Gras because the party never stops in the Crescent City. Special thanks to the New Orleans Convention & Visitors Bureau for helping make my stay even better! All opinions within this article are my own. I always enjoy avoiding crowds when traveling and you might try to steer away from the festive atmosphere that takes over parts of New Orleans at any given time. If you’re in the French Quarter or near one of the many New Orleans points of interest, just embrace it. For the most part, I found people in New Orleans just wanted to have a good time. Spring, in general, is a busy time for the city. 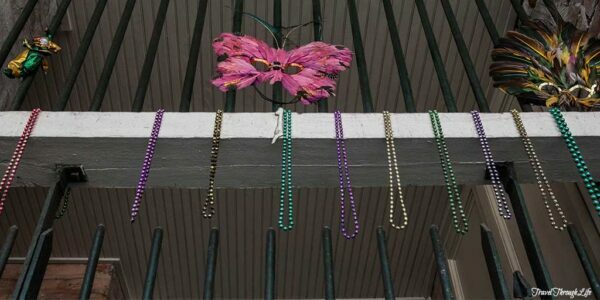 The Milder weather combined with the Mardi Gras excitement brings in hordes of people. 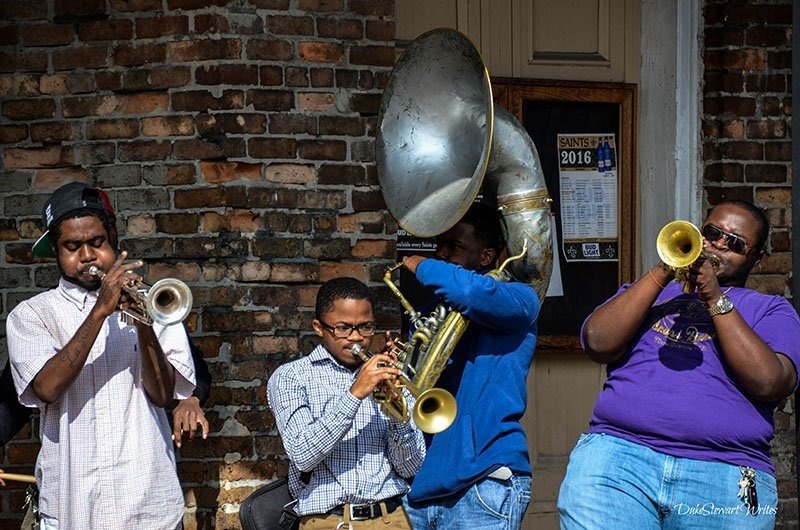 However, each month holds something new for New Orleans visitors and residents (see the below season-by-season guide), so be mindful of when you’re traveling there and what’s happening at that time. There are some wonderful New Orleans neighborhoods to explore and you can curate your own style of trip, depending on your interests. 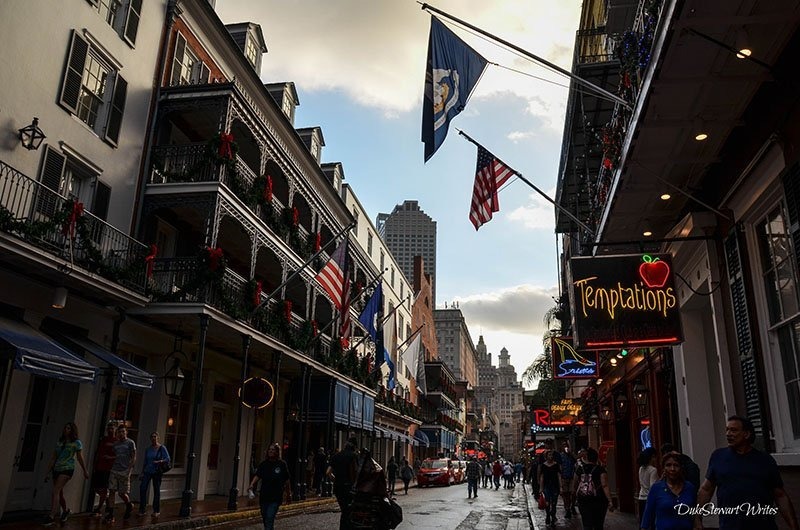 Many people will start with the French Quarter because of its abundance of things to eat, drink, and see. 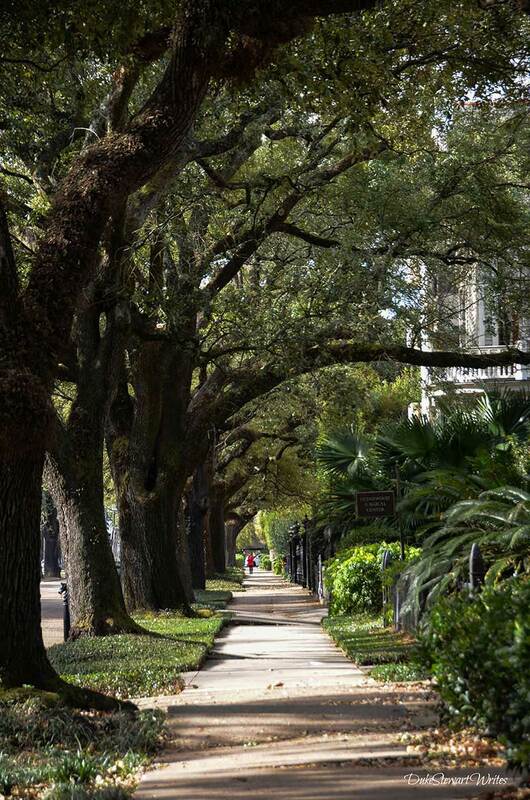 The Garden District and Uptown are cool if you want to check out celebrity homes and see a village within the city. 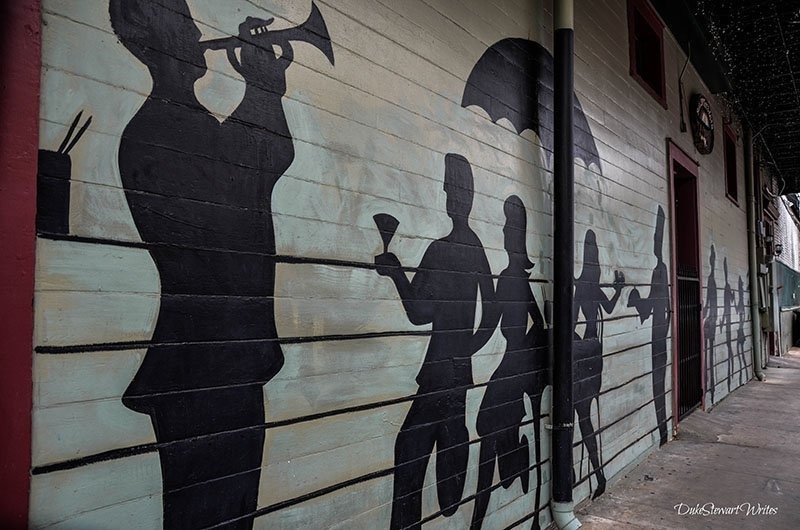 Treme is where you’ll want to go for music, jazz funerals, and museums dedicated to African American achievements. There are even more parts of the city to explore beyond that and I just covered the popular stuff. You can get around pretty easily in New Orleans and that’s not counting Uber, Lyft, or any of the increasingly convenient ride-sharing apps we all know and love. For the city’s public transportation, download the RTA App and take care of bus and streetcar fares in advance. Streetcars will fill up during busy times so don’t get too attached to them if you’re in a hurry. We got passed over a couple of times because there was simply no more room for passengers. 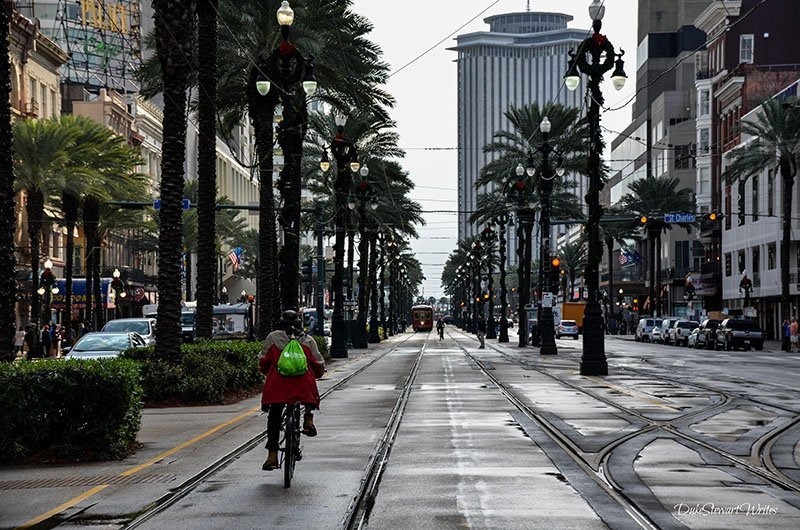 The city is fairly walkable and if you want to learn more about the city while on two feet, partake in one of the many walking tours advertised throughout New Orleans. Another great way to see the city is through a Riverboat Tour along the Mississippi River! Food in New Orleans—probably the best four words put together. If you’re in New Orleans and not a foodie, this city will make you one. You’ll find rich offerings around every street corner. You might not feel the long wait in line for beignets and coffee from Cafe Du Monde, but that’s what you do when you want the good stuff. There are tons of other awesome things to eat in New Orleans and so little space here. There’s red beans and rice, crawfish etouffee, crawfish pie, jambalaya, beignets…Wait, did I say that already? Kidding aside, one good way to find something delicious is to hit the French Market early before the crowds arrive. Just sit down at one of the counters and prepared for something delicious to come your way. 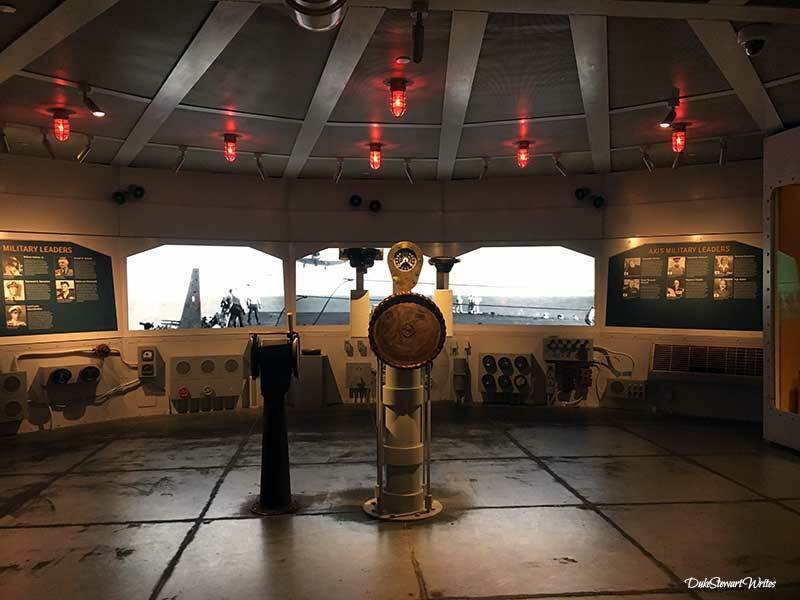 Keep yourself and the kids busy at one of the many cool New Orleans museums and parks. The Voodoo Museum might creep them out but it may make you look like the coolest parent if they can handle it. The National WWII Museum’s exhibits are really cool and the temporary ones keep things fresh for you and older kids. The Audubon Aquarium of the Americas is a huge attraction in the city and perfect for any family staying in New Orleans! 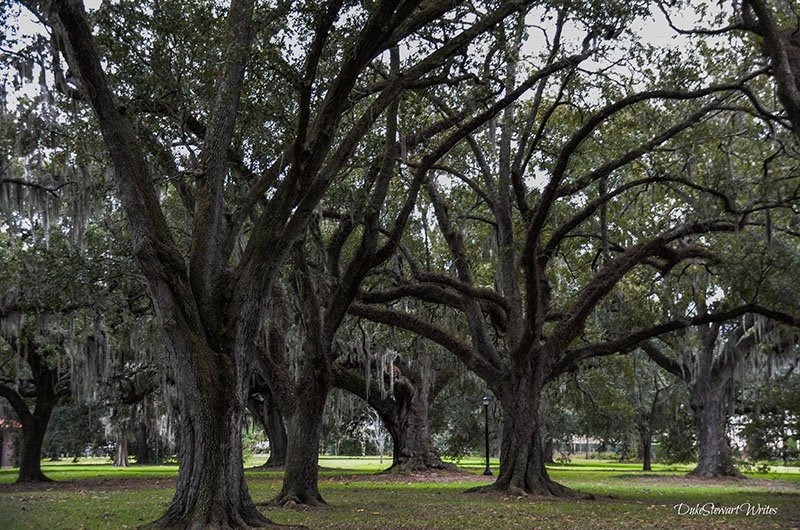 The Oaks at City Park are one great reason to visit one of the nation’s largest public spaces but there’s also an amusement park, a botanical garden, and more fun stuff to do. Audubon Park is really nice for a walk and there’s also a decent-sized zoo nearby. I’m told New Orleans has a drinking scene and if that’s not your thing, it’s fine. Still, I think at least one walk down Bourbon Street is necessary. Just try not to buy your drinks from some fancy restaurant. Look for something that’s literally a whole in the wall and maybe a front for something else. You’ll see people walking around drinking hurricanes and hand grenades and whatever other disastrous names the marketing whizzes that be come up with. If it’s early, you might even see a bloody Mary or two. There’s quite a bit of local beer brewing in New Orleans and you’ll see Abita just about everywhere. On the museum side, the Pharmacy Museum taught me how drugs and booze-fueled medical practices ruled for many years until prohibition killed a lot of it. Here’s a brief season-by-season snippet about what you can do throughout the year that goes beyond Mardi Gras in New Orleans. Spring is the New Orleans peak and when everyone is either getting ready for Mardi Gras, prepping for it, or right in the middle of it. Expect more expensive hotels and please book in advance if traveling to New Orleans during spring. If you miss Mardi Gras, remember that there are some pretty awesome events happening at other times. There’s French Film Fest, the New Orleans Jazz & Heritage Festival, and tons more events happening during Memorial Day Weekend. Summer in New Orleans might be hotter than hades but it’s also the cheapest time to visit. You’ll be surprised upon arrival to find that the season is jam-packed with fun. New Orleans Pride is a reminder that everyone is welcome and that we should pay that sentiment forward. Jazz might be what New Orleans is known for but ESSENCE Festival is a pretty big deal, bringing in huge names over the years and unlikely to stop. Visit New Orleans in the fall and you’ll find the mildest weather. Just don’t expect it to stay that way and refer back to summer if you’re thinking that. Labor Day Weekend is a nice time to be in New Orleans, as everyone will be out enjoying the parks. Southern Decadence is a celebration of LGBT culture and brings in over 100,000 visitors from all over the world. Fall is when the official oyster season begins and you know you’ll want to try some. 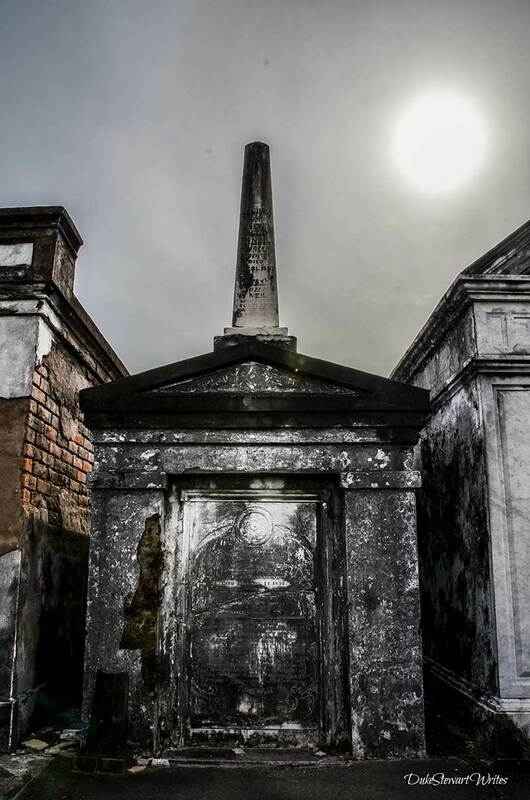 Don’t forget about Halloween, and the tours available throughout the city’s cemeteries, French Quarter, and more. Christmas New Orleans, Merriment on Magazine, you name it. 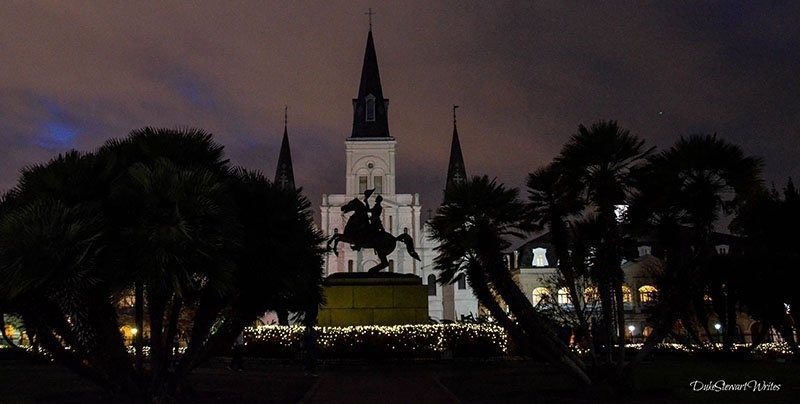 New Orleans is a wonderful place to spend the winter months, and those things I named are just for December. The city’s sports teams are also going strong, at least when the Saints and Pelicans are good. There’s also the Sugar Bowl, which is a huge tradition going back to the days when conferences matter. Thank you, realignment! New Year’s Eve is also a huge deal in New Orleans and if you’re lucky, you might get to see Don Lemon of CNN doing shots in a club there! Check out New Orleans Online for upcoming events and any new developments that happen in the city. 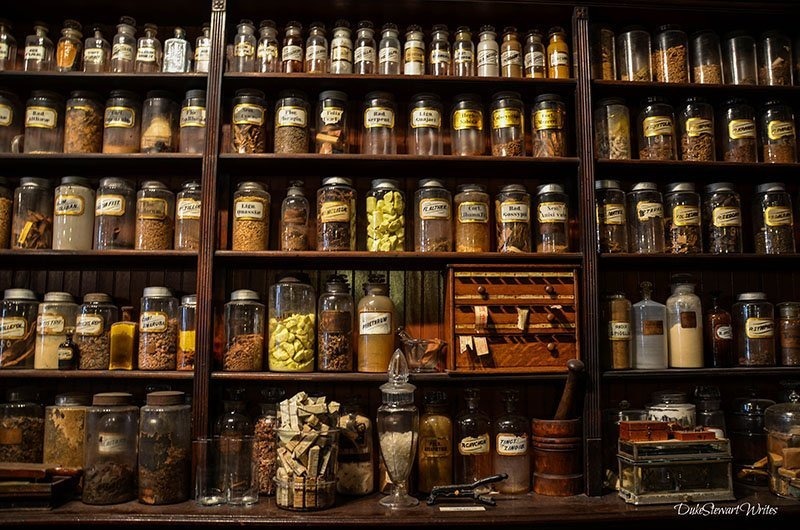 Man I loved the Pharmacy Museum. I hope your visit to New Orleans is an exciting and enchanting one. Just think. It’s one of the few places on this earth where you can brag about cemetery walks, seeing street musicians, and enjoying some of the world’s most decadent food. 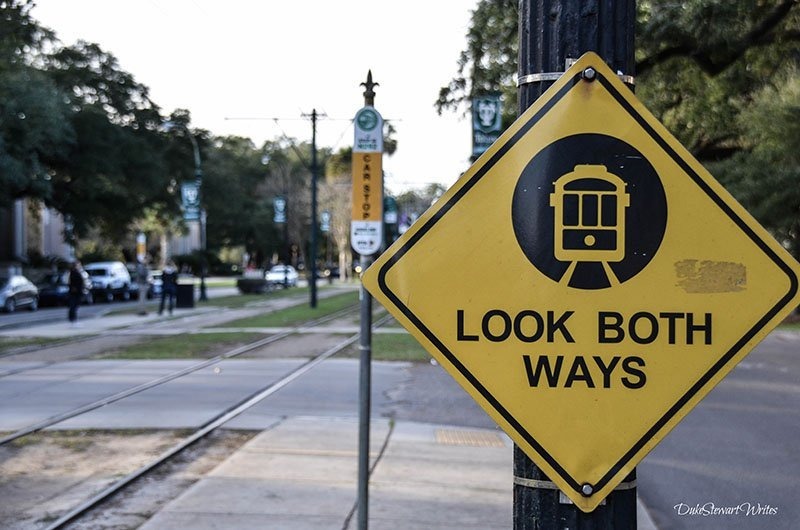 There’s no putting New Orleans in a nutshell and when you visit, you’ll see just how fascinating it is in so many ways. I’ve been to New Orleans twice, though it was before Katrina hit. I have a nephew who’s living down there though and need to go visit before he moves. It’s such an intriguing city. I was really into New Orleans and enjoyed it. Hope to go back someday and hope you can get there, too. Thanks for commenting, Jeri.